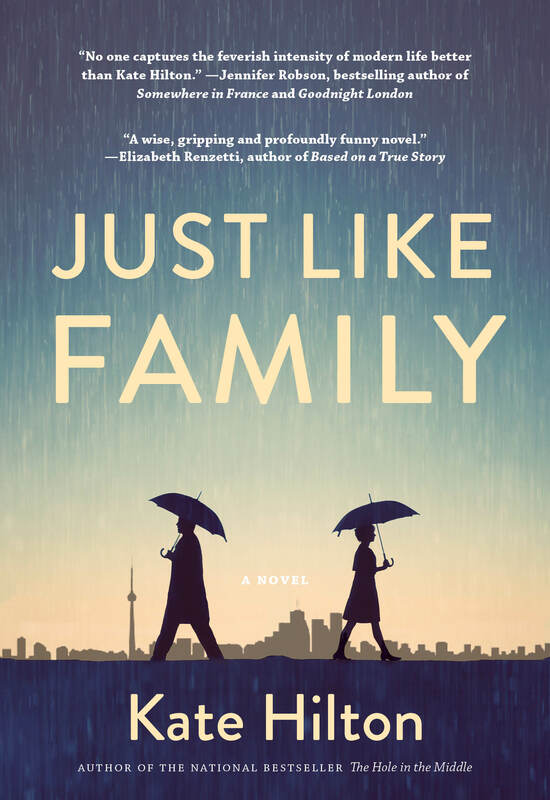 Just Like Family is, in part, a reflection on the consequences of placing work at the centre of one’s life. What are these consequences for Avery? What do you think the author is trying to say about this aspect of modernity? Avery’s first marriage is a failure. Or is it? How does her perception of her marriage to Hugh colour her subsequent romantic decisions? Does she perceive that experience accurately? Questions of loyalty loom large in Avery’s life, and she often finds her loyalties in conflict. Discuss a moment in the novel when you feel that Avery puts her loyalty in the wrong person. Do you understand her decision? Why or why not? Do you believe that men and women prioritize their professional and personal commitments differently? Are childhood friendships the most important of our lives, or do we outgrow them? Can our childhood friends still reveal to us important aspects of our selves? Avery is a highly capable woman who supports a charismatic man at the office. Have you ever had a ‘work spouse’? How did that relationship evolve and what did you learn from it? What should Avery learn from her experience with Peter? Avery has experienced several traumas in her life. Common wisdom is that difficult experiences make us stronger. Do you believe this? If so, how does Avery embody this philosophy? How much of Avery’s identity is bound up in geography? Is she more herself at her childhood cottage and less herself in New York? Or is the opposite true? Avery faces a serious moral quandary in choosing between Hugh and Matt. How do you judge her decision to leave Hugh? Just Like Family alternates between the present and various points in Avery’s past. How does this technique enrich your understanding of Avery’s response to problems in the present day? Throughout the novel, Avery struggles with her own sense of identity, and often her choices seem to undermine the very identity that she has created. Do you think that identity is fixed or fluid? Does Avery return to her true identity at the end of the book, or does she evolve into a more authentic self?